When you need removals in South Somerset, it makes sense to go with a company that’s been around a bit. We started out in 1855, so you could say that we know what we’re doing. In fact, we promise you a conscientiousness and quality that’s usually quite elusive elsewhere. Not every removals company in South Somerset is like us. Because we’ve honed our craft for nearly two centuries, we’ve achieved a level of excellence. 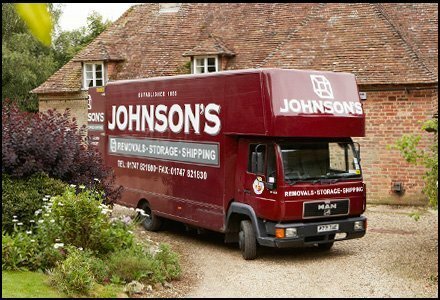 Our array of additional services includes storage, self-storage, man-and-van hire, domestic shipping and international shipping. We’ve got everything you need for a great moving experience. Yes, there’s a number of other removals companies in South Somerset. But there’s only one Johnson’s. We know all there is to know about moving and we do it well. We’re keenly aware that it’s a time of stress for our clients, and we keep this foremost in our minds, doing everything we can at every critical juncture to make the process more relaxed for you. We don’t see why it has to a nerve-shredding or exhausting experience for you, and we’ll look after you, so that it’s not. We bring this same level of consideration to the office/corporate moves that we undertake every year. Our storage facilities in Gillingham will suit you, whether your requirements are long-term of short. We use units measuring 8ft by 7ft by 5ft and they’re incredibly useful if you’ve got excess possessions and need time to figure out what to do with them. For pianos, works of art and other valuable, delicate or fragile items, we have a special, temperature-controlled room to keep them all safe and sound and well out of harm’s way. So, from the moment we provide you with a no-obligation quotation, you’ll know that you’ve found the right place. Our estimators will visit, to make sure that all the necessary details pertaining to your move are pinned down and agreed upon. We can help you with any moving-related tasks, including doing all the packing-up and boxing, to dismantling furniture and reassembling it, as well as IT relocation, however complex. On moving day itself, we’ll send movers and drivers who are uncommonly quick-thinking and courteous, treating your belongings with all the care and good grace with which they’d treat their own.